Open the “Safari” browser. 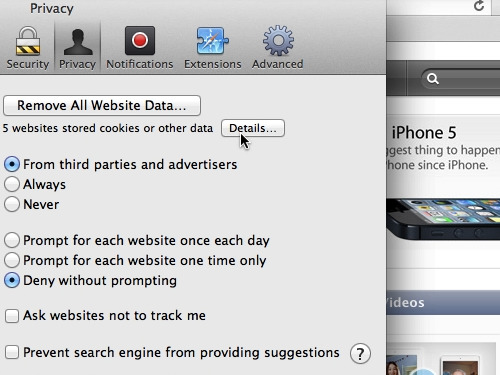 Click on “Safari” in the menu bar and select “Preferences”. Go to the “Privacy” tab and click on “Details” to review the stored data. If you wish to delete some specific data, just select it and click “Remove”. Click done when finished. 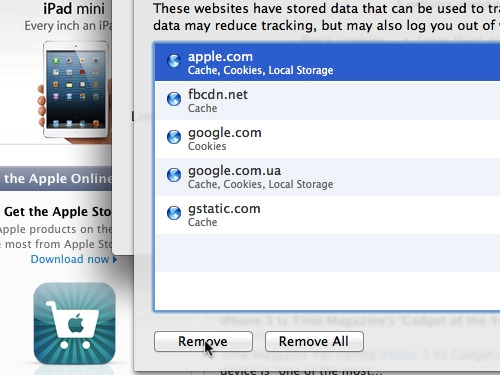 In case you wish to delete all the stored data, click “Remove all” and all the cookies will be deleted.